We need the contributions of each and every one of you to enliven a space, a network and unique mindsets to serve the best interests of current and future African generations. What each of us does and doesn’t do during the few decades of our lives can make a big difference on a scale whose impact we can’t even begin to imagine, provided that we free ourselves from the constraints of myopic visions and the pressure of achieving immediate results. We created WATHI and launched its website a year ago because we could no longer bear to see, for at least the past three decades now West African countries drowning one after another in violent political crises, armed conflicts or economic and social crises, fueled by the neglect or resignation of the elites, the crumbling of work ethics and integrity, the decline of solidarity and concern for the common good. Looking into the future, we do not want to continue to make our region and our continent, the preferred breeding ground for peacekeeping operations, for the industry of international development and the fight against poverty, or for the currently notorious global fight against terrorism, insecurity and illegal migration. We have set for ourselves a goal, which is to create a transnational network of men and women who are not just concerned about their families, but are aware of the fragile state of fledging West African nations and understand the need to think concertedly about the future of the region. WATHI is not just about West Africa, it is also about stimulating similar initiatives that share this common interest across the continent. Many people who have discovered WATHI through its website ask us if we will be leading activities of a “more concrete” nature. We have explained to them that, in order to change our future, we think that there is nothing more concrete and vital than a space that encourages the free production and flow of ideas, values and knowledge. A space which allows the development of proposals by experts and all citizens to significantly reform our political, economic, social, cultural, and environmental systems and practices. We believe societies that base their collective actions on ideas, values, and a constant inquisitive outlook on their past, present, and future, have better chances to prevent disasters, as opposed to those that are dependent on trends; priorities; models; and choices proposed by outsiders. 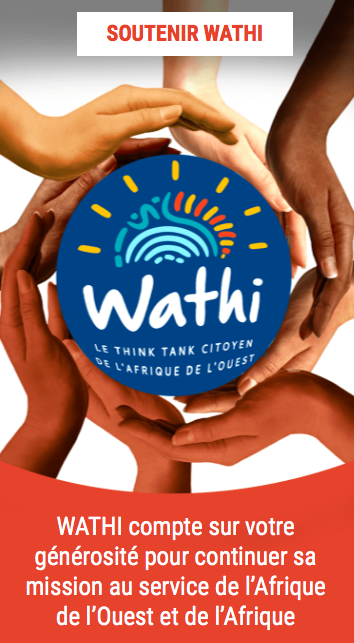 For a year now, the ambition of the more than one hundred men and women who have helped bring WATHI to fruition has not been limited to producing ideas and to protecting West Africa and the continent at large from future calamities. We are convinced that, what has been regarded as “backwardness” in terms of economic development, offers us the possibility to imagine and put in place systems and institutions which are congruent with the type of societies we want for our children and grandchildren. More than ever, current events in the “developed” and “emerging” economic regions of the world show that technological advances and the unprecedented accumulation of material goods remain insufficient in building serene and pacific human societies, free from fearing the influence of different cultures and more confident about the future. We are not unhappy to hear here and there that Africa is the continent of the future for the global economy and its most powerful beneficiaries. Nevertheless our ambition is not just to see African societies that are also obsessed by the unlimited consumption of goods and services. It is to help build African communities that are as economically productive as they are supportive, tolerant, creative, dignified and cultured. WATHI’s objective is to refocus our attention on the most vital issues of our present and future times. This initiative only makes sense if it is developed as a long-term endeavor, and if it draws its legitimacy from the participation of citizens of all social classes towards the production and dissemination of ideas. It will make sense only if the participation from African citizens is also reflected in its funding plan. We embarked on this adventure without worrying of how we were first going to secure funding for it. We were convinced that we had to start it, even if we had to rely on the very limited resources such as those of a neighborhood association from a poor country. We felt that it was our responsibility and perhaps even our generation’s primary’s mission to restore the value of hard work, the thirst for knowledge and the concern for general welfare. It is in the minds of today’s young girls and young men, as well as those of the millions of children already born and those who are born every day in our cities and countryside, that the West Africa of tomorrow will take shape. It is what we would have ingrained in their minds as a vision of what is important in life, as a set of important values, and as the desire to live together. This is what will make all the difference between peace and war; between the cohesion of our societies and their disintegration, between the improvement of social welfare and widespread suffering. Let us not be ashamed of being idealistic. There are worse flaws. Support WATHI. Gilles Olakounlé Yabi is a political analyst and economist. 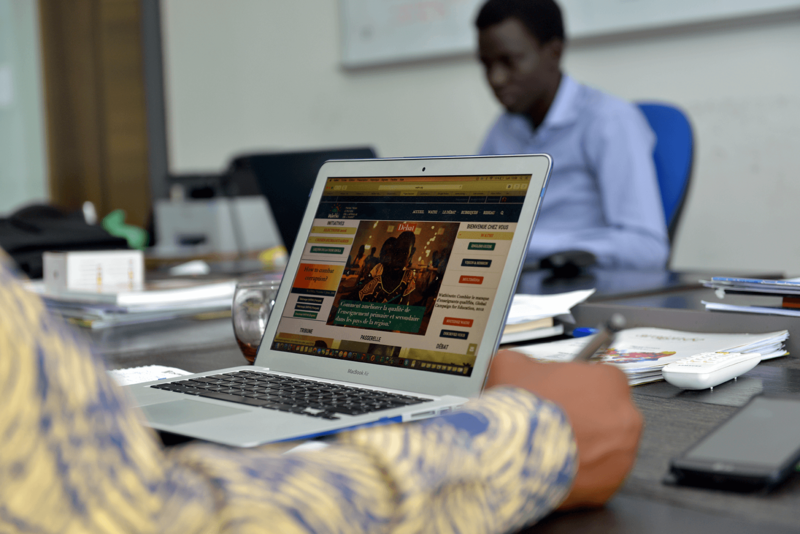 A former director of the West Africa Project of the International Crisis Group, and a former journalist with Jeune Afrique, he is the founder of WATHI.